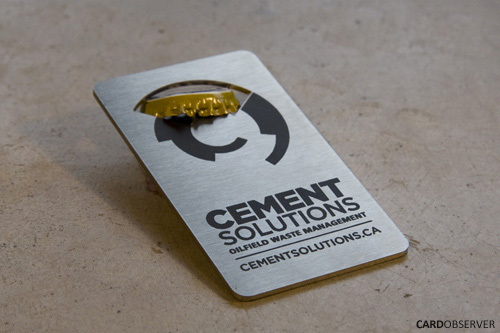 Limited edition bottle opener business card. Promotional item designed to be kept somewhere safe. Makes effective use of the logo in a memorable and useful way. Who doesn't like to end their work day with a refreshing beverage?